From November 13 to 16, 2018, Rohde & Schwarz, one of the leading test and measurement equipment manufacturers, will present its innovations at electronica under the slogan “Accelerate design. Maximize performance.” In hall A3, booth 307, the company will be exhibiting products such as its highly innovative family of high-performance oscilloscopes, the world’s first signaling test solution for Bluetooth® LE and signal generators that set new standards in their class as well as several updated instrument families. One highlight is the R&S RTP high-performance oscilloscope family that combines outstanding signal integrity with high measurement speed and rich functionality. The oscilloscopes capture up to 1 million waveforms per second, compensate for transmission losses between the signal source and the oscilloscope in real time through deembedding, and are extremely quiet even under full load. All these characteristics make the R&S RTP oscilloscopes ideal for debugging electronic modules as well as LSI components with fast digital interfaces or wideband RF interfaces. They are available in three bandwidths: 4 GHz, 6 GHz and 8 GHz. 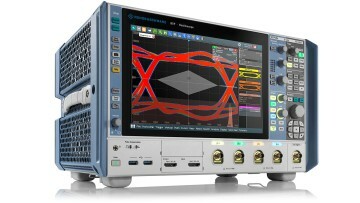 At electronica, Rohde & Schwarz will demonstrate measurements on components with USB 3.0 and PCI Express 2.0 interfaces. Rohde & Schwarz will present a signaling test solution for Bluetooth® LE (BLE). For many manufacturers of Bluetooth® Low Energy components, testing modules and sensors according to the standard is challenging. These devices often lack any way to connect the control line that is necessary to test them in the prescribed direct test mode (DTM). The BLE signaling test solution for the R&S CMW platform uniquely allows easy testing of the RF characteristics of a Bluetooth LE DUT in a Bluetooth link, either over the air or directly via the antenna without a test mode. The R&S CMW test platform offers three RF test modes: the new BLE signaling functionality, BLE direct test mode, and BLE advertiser mode. At electronica, Rohde & Schwarz will demonstrate the R&S CMW270 wireless connectivity tester, which can do more than test RF functions for Bluetooth. Thanks to its measurement bandwidth of 160 MHz, it also supports WLAN RF signaling tests in line with IEEE 802.11a/b/g/n/ac and IEEE 802.11ax, as well as non-signaling RF tests in line with IEEE 802.15.4 for ZigBee, Thread and 6LoWPAN. Another highlight at electronica is the new R&S FSW. Rohde & Schwarz has improved the performance and ease of use of the popular high-end signal and spectrum analyzer. The new R&S FSW not only features an updated exterior with a new user interface concept and an SCPI recorder for simple programming of remotely controlled test sequences. All R&S FSW models with a maximum input frequency of 26.5 GHz or more are available with 2 GHz internal analysis bandwidth. And 800 MHz bandwidth is available for real-time analysis. With its high sensitivity at input frequencies up to 90 GHz (R&S FSW-B90G option), the R&S FSW85 is unique and ideal for analyzing radar signals and for automobile and A&D applications. The successful R&S Spectrum Rider FPH family from Rohde & Schwarz has also been enhanced. New base units with frequencies up to 6 GHz, 13.6 GHz or 26.5 GHz as well as frequency extensions are available, enabling spectrum analysis up to 31 GHz in the lab and in the field. R&S Spectrum Rider FPH was the first handheld spectrum analyzer on the market with a capacitive touchscreen and a unique keycode concept for frequency extensions. That makes the robust R&S Spectrum Rider FPH perfect for tasks such as verification of 5G, broadcast, radar and satellite transmissions. Rohde & Schwarz will also present the R&S SMB100B analog signal generator and the R&S SMBV100B vector signal generator. Both of these new midrange devices offer great versatility and high performance in an extremely small package. They feature the highest spectral purity and highest output power in their class, as well as easy and intuitive touchscreen operation. Both generators allow developers in the semiconductor field, telecommunications or A&D to generate signals at frequencies up to 6 GHz. For example, the high-end R&S SMA100B can provide the extremely clean signals needed for testing ADCs or DACs. Its phase noise is significantly lower than that of the previously mentioned generators, making it unique on the market. The R&S SMA100B features a previously unattainable output power together with very low harmonic content and virtually no wideband noise. The R&S SMW200A equipped with the R&S Pulse Sequencer software will demonstrate generating wideband radar signals in the millimeterwave band. The 2 GHz internal RF modulation bandwidth of the R&S SMW200A allows generation of dedicated pulses with minimal pulse width and rise time or wideband frequency modulated signals. 5G and advanced radar technology require larger frequency ranges and shorter switching times than before. That is why Rohde & Schwarz is launching a new generation of its R&S OSP switch and control platform. The hardware and software of the new instruments are completely new. However, first generation modules can still be used. Different module types can be combined in one R&S OSP unit – from simple RF switching modules to more complex application-specific modules. This allows users to economically equip their R&S OSP platform and tailor it to their application on site. The new product family is available in three models plus a satellite box version, making it possible to implement of a wide variety of test scenarios – from benchtop models for lab measurements to complex rack-based test systems. The innovative R&S NRQ6 power meter is designed for frequencies from 50 MHz to 6 GHz and can determine the band-limited continuous average power of a transmission channel up to a signal bandwidth of 100 MHz. It is the only power sensor on the market able to perform extremely precise and fast measurements down to –130 dBm. This and its outstanding linearity make it possible to perform tasks such as transmitter calibration with a simple, compact test setup. It is ideal for isolated observation of selected transmission channels, trace measurements on pulsed signals with very steep edges, ACLR measurements in the mobile communications domain and much more. 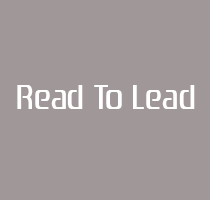 As a leading supplier of T&M equipment for the connected world of today and tomorrow, Rohde & Schwarz offers test solutions for the new 5G standard, e.g. to generate and analyze 5G NR signals in line with the latest 3GPP specifications (version 15.2.0). The new R&S FSW signal and spectrum analyzer can now analyze 5G NR uplink signals when developing 5G consumer electronic devices or 5G components such as power amplifiers, as well as downlink signals for tests on 5G base stations. The R&S SMW200A RF vector signal generator provides the necessary signals for uplink and downlink receiver tests. Both instruments can also be used to characterize efficient, high-performance Doherty amplifiers. The R&S SMW200A generates highly synchronized signals in its two paths, while the R&S FSW provides the right analysis functions to further improve the properties of Doherty amplifiers and other amplifiers. For production tests on sub 6 GHz consumer electronic devices in line with 3GPP 5G New Radio (NR), Rohde & Schwarz presents the R&S CMW100 communications manufacturing test set – the reference solution of many smartphone manufacturers. The flexible test solution supports all relevant cellular and non-cellular wireless technologies, including LTE, WLAN, Bluetooth and NB-IoT. That makes it a cost-effective test solution for mass production. The devices are calibrated and verified in non-signaling mode (analyzer/generator). The patented R&S PWC200 plane wave converter enables precise measurement of far-field properties at a short distance in the near-field region of an antenna – a true first. This makes it ideal for characterizing 5G MIMO base stations. The technology leader in the field of EMC test systems is also presenting the R&S ELEKTRA EMC test software at electronica. The software enables fully automatic EMC tests on products, which accelerates test times and cuts costs. The solution is perfect for measurements during the development phase and for certification of devices for the commercial, automotive and A&D sectors. It complements the R&S ELEKTRA EMI test software for developers, which also offer interactive test sequences. At electronica, Rohde & Schwarz will demonstrate its innovative test solutions for automotive radar sensors that cover all phases from development to production. The new R&S AREG100A automotive radar echo generator not only allows OEMs and tier 1 suppliers to achieve reliable end-of-line production testing, it also makes it easy and straightforward to perform the mandatory tests for automotive radar sensors defined in the Radio Equipment Directive (RED). The new R&S AREG100 automotive radar echo generator, together with the R&S SMBV100B vector signal generator or the R&S SMB100B analog signal generator, delivers the ideal solution for testing the robustness of radar sensors to interfering signals. To demonstrate debugging of communications components in vehicles, Rohde & Schwarz presents the R&S RTO oscilloscope with a developer-friendly trigger & decode option for automotive Ethernet. The sturdy R&S Scope Rider RTH handheld oscilloscope with its analysis functions for the CAN bus will also be on display. Rohde & Schwarz will be at electronica 2018 in hall A3 at booth 307 from November 13 to 16, 2018. A press day will be held on Tuesday, November 13, 2018. Trade journalists are invited to come and find out more about the exhibited products.